So, What Really Causes Autism? Many scientists, doctors, and even parents have tries to come up with theories on the causes of autism. From genetic mutations, to vaccines, to other diseases, there are a wide variety of things believed to contribute to autism. Last blog period, I actually wrote a post on the belief that vaccines cause autism. I used to have some belief in this theory, however I no longer believe this theory. I now see this theory as dangerous because by not giving children their vaccines, parents put their children at risk for other deadly diseases. In my opinion, it is silly to blame vaccines for causing autism. Millions of children are vaccinated every year, and if they did cause autism, I fully believe we would see exponentially larger cases of it. After personally discrediting the vaccination theory I decided to do my own research into the other two major theories surrounding the causes of autism. According to this article, scientists have yet to find the exact cause of autism. Autism is believed by many to be caused by abnormalities in genes. A lot of research has been conducted on sets of twins and triplets to try and study the different genetic mutations. The study results were consistent with the alternative hypothesis stating that autism is indeed caused by both genetic and environmental factors. The study found that if one member of a family has autism, there is a good chance that somewhere else down the line of genetics, another occurrence of autism will be seen. Interestingly enough, your chances of seeing another case of autism rise down the line increase even more if the family member who has autism is a female. Personally, I think this study is quite valid. For starters, it observed twins and triplets, people who share the exact same genes. I feel as though this was a great way to start. By looking at one twins genes and comparing it to the other twins who had autism, researchers could clearly see the large role genetics plays in autism. 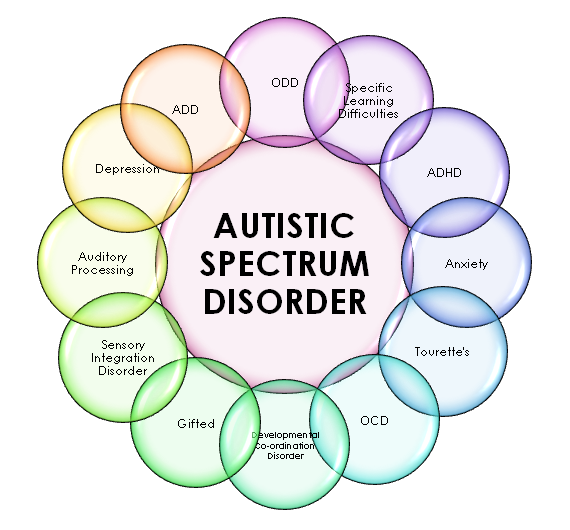 Another popular belief in society is that autism can be caused by various diseases a mother or a child may get early on in life. 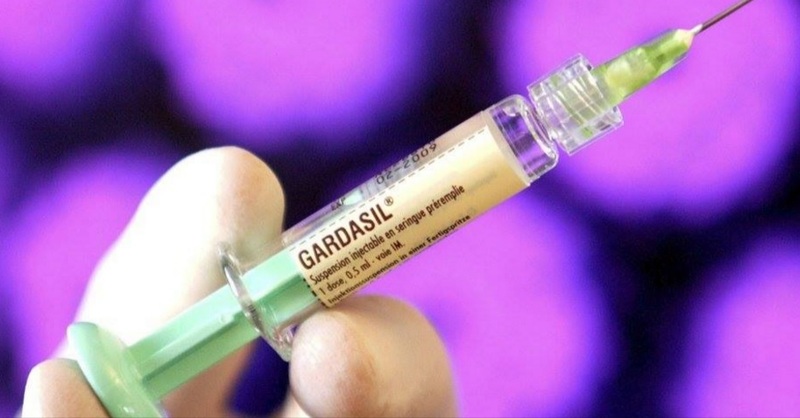 According to this article, in the 1970s, doctors began to see a rise in the number of pregnant mothers who were contracting Congenital Rubella Syndrome (CRS). While the issue was eventually taken care of and a vaccination was found, many people believe that the lingering effects of those who had this disease is causing autism. According to the article, many children with autism often exhibit the same symptoms as those with CRS. One researcher named Stella Chess did multiple studies in attempt to prove the link between CRS and autism. In her first study, she look at a large group of children with CRS. Out of those children, the amount of children with autism was 200 times higher than the normal amount of children who have autism among the regular population. A few years later, she restudied the majority of her original group and was able to diagnose four more cases of autism. While I am not a supporter of theories that point to diseases and vaccinations as the cause of autism, I must admit that this study does provide some pretty significant evidence for CRS playing a role in the occurrence of autism. However, the article has no mention of the genetic history of those who were diagnosed. Also, a bit of meta-analysis would have greatly benefitted the authenticity of Chess’ findings. If she had also analyzed other studies done on patients with CSR and autism, it could have backed up the point she was trying to make. If their findings were consistent with hers, that would have been even more convincing evidence for me. Over-all, I think the two theories I presented here are pretty valid. However, the one I put the most faith and trust in is the theory that genetic mutation is what causes autism. It is the most widely accepted theory and seems to be the most practical. Truthfully, I think the theory is the most easily proven one. The vaccination theory and the disease there rely heavily on anecdotal evidence and correlation, which we have learned to be not-so-solid evidence. I truly hope that someday, a true cause for autism is found so scientists can come up with the proper way to treat it. This entry was posted in Uncategorized on November 3, 2016 by Margaret Marchok. 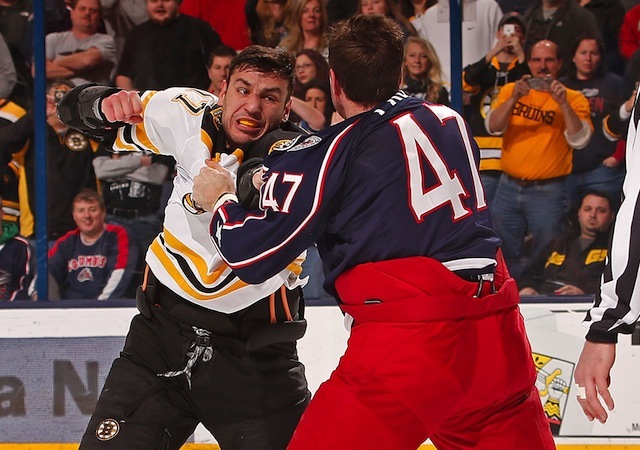 Is there a link between sports and aggression in males? I will begin with a forewarning: I am not privy to much knowledge about sports, outside of the few I played in grade school, and this blog is in no way stating that all sports negatively influence all people. However, after living at Penn State for nearly two months, I could not help but notice two quite prominent aspects of our college society: football and reports of sexual assault. When the first “Your Right to Know” report came into my mailbox, I was somewhat shaken, as it was reported within the first week of school. We have now had 17 reports of sexual assault and other violent acts such as robbery and physical assault. Many of the reports were filed as occurring either on a game weekend or in the early morning of weekends in general. Although I would like to compare some sort of frequency between game week and the reports, or whether or not the males that committed the attacks played or watched sports, it is simply too difficult to attempt gathering that kind of data at the moment. The amount of games is too small to show convincing data for just Penn State, and none of the assailants are actually identified in the ‘Right to Know reports. Instead, I will do my best to state the findings of some other researchers’ studies done on the topic and also state my own opinion based on my personal experience and any influences the studies had on me. First, I want to clearly state what I am looking for: Does watching or playing sports directly correlate to an increase in aggression in males? There could, of course, be a factor of reverse causation, in which an increase in aggression leads males to take up watching or playing sports in order to relieve some of that pent up anger. There may also be third variables at play, such as alcohol consumption, gender, and age, among others. Finally, there is always the possibility that any correlation that may occur is only due to chance. My first avenue of research was through a study done by a student of NYU Steinhardt on the effects of men participating in sports increasing violent behavior. The student, Nina Passero, first provides some examples of famous sports players from two different leagues (four from football, one from basketball) who have all been charged with crimes ranging from sexual assault to domestic abuse. She goes on to consider the effect of social norms and ingrained masculinity to be at play regarding the presence of the aggressive mentality in sports. 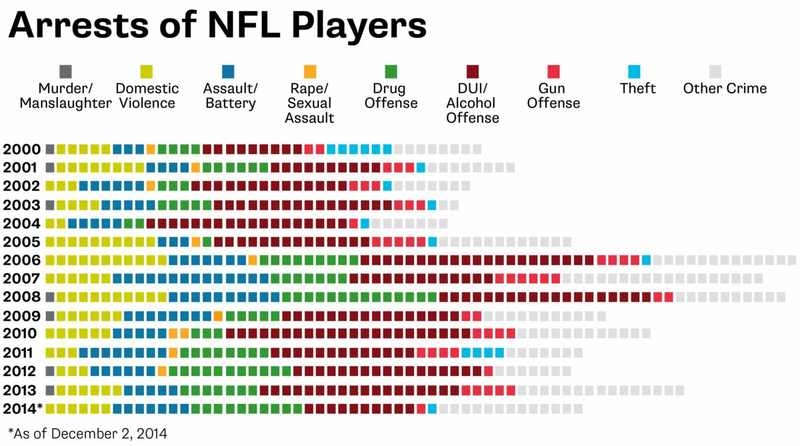 To expand on her research, I looked up how many National Football League (NFL) arrests there have been since 2000; I came up with a database from USA Today consisting of 833 arrests at the time I accessed it, with about 112 accounts of varying assault and battery chargers, 99 accounts of domestic violence, 8 and 3 charges of animal and child abuse, respectively, 5 homicides, and a large number of charges for DUIs and drugs. Unfortunately, I wasn’t able to find substantial evidence for the other sports leagues in order to contrast with football, and thus was unable to rule out a possible third variable of type of sport influencing aggression. 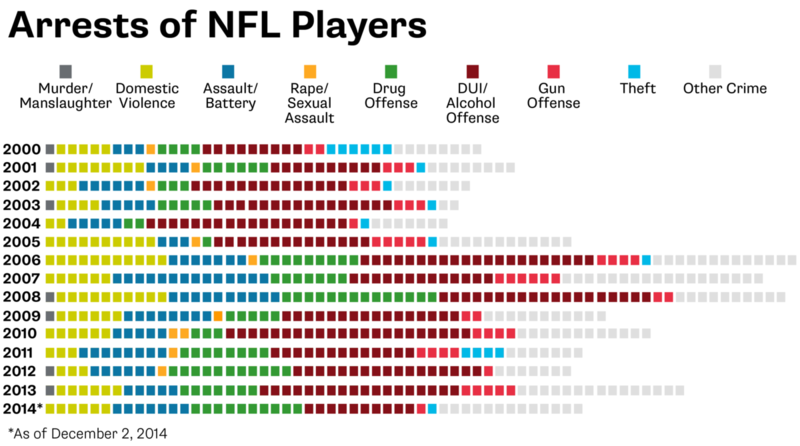 However, the amount of arrests (which I interpret as a representation of aggression and deviant behavior) seems like a convincing argument for a correlation between sports and aggressiveness. Another study I found, based in Romania, focused their preface on the understanding of aggression and its history in sports, and how sports themselves are designed to be confrontational between athletes, whether they are playing directly with each other or competing against another athlete’s performance. 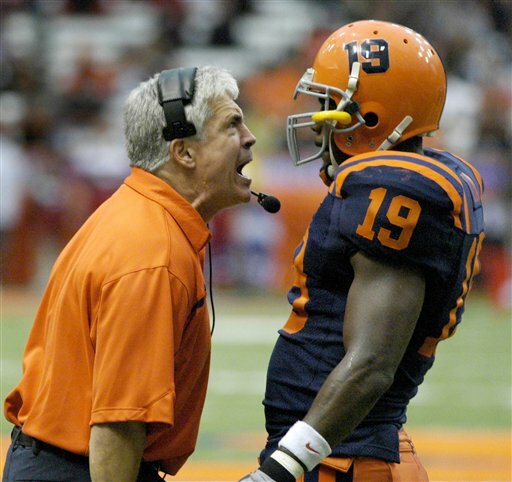 They also quoted other studies to support theirs, which stated that the correlation between sports and aggression, the effect on a coaches wishes increasing aggression on the field, and comparing how women have a lower aggression threshold while playing sports than men. On the conclusion of their study, which surveyed 106 football players of varying ages, they found that the correlation was partially proven. Aggression seems to increase throughout adolescence, when boys are malleable to peer pressure and social norms on masculinity that suggest violence is a key factor in achieving victory. In an environment where confrontation is an expectation, it is be natural to assume that aggression will be cultivated and even encouraged. While aggression can be beneficial in the world of sports, that cultured behavior can also bleed into daily lift through acts such as the ones committed by the NFL athletes that were arrested in the past sixteen years. Although there may not be hard evidence proving the correlation between sports and aggression, I am convinced there is a strong relationship between the two, based on what I have learned and my experiences here at Penn State. I personally believe that there should not be such a strong influence on young children, boys especially, to fit into the mold of social norms and feel the need to prove that they are men through sports. This century’s society has the capability to accept all types of people, regardless of belief, appearance, or behavior. The standard of dual-gender types is antiquated and oppressive. This entry was posted in Uncategorized on November 3, 2016 by Emma Schadler. For years, all I have heard about is “climate change” this and “climate change” that. I used to ignore scientists when they would harp on this issue. Truthfully, I never really believed in it. However, my mind has recently been opened and I am starting to realize the scary truth about climate change. Last year I took Meteorology 005 for a GN requirement. My professor was actually really cool and explained climate change in a way I had never heard it explained before. He didn’t approach it from a pessimistic stance. Instead, he simply noted that climate is going up and that we must do something about it. Something clicked in me after that lecture and I began to realize the severity of our climate situation. As much as I want to pretend our climate is where it should be, it most definitely is not. World-wide, there are copious amounts of evidence for our rising climate level. According this this article written by NASA, for over 400,000 years, CO2 emissions have had their ups and downs, but they have never reached over 300 ppm. In the past 60 or so years, CO2 emissions have skyrocketed from that level to reach 400 ppm. As we have learned in class, many scientists believe it is the rising CO2 levels that are causing global warming. And, since no natural causes can be found to explain why the sea levels are rising, many scientists believe it is the actions of humans that are causing these harmful effects. However, CO2 emissions are not where the evidence stops for climate change. The NASA article also notes that many pieces of evidence can be found by looking at our oceans. In the last century alone, the level of the sea has risen almost 7 inches. The water is also beginning to slowly get warmer and warmer. Also, though you may think it a stereotypical example of climate change, it is true that our ice caps are shrinking at an alarming rate. Some ice caps in Greenland have even shrunk to half of the cubic mileage that they started out with. A lot of research has been done on the topic of climate change. Many scientists continually looks for more and more evidence of its occurrence. This article describes some work done by scientists Joel Guiot and Wolfgang Kramer. The two scientists took pollen cores from the Mediterranean and ran some tests on them. Since pollen cores offer a good look into climate change over the years, they used their findings as a baseline for which to compare further studies to. They studied different vegetation’s and determined how they would react in different climate-change scenarios. The men found that even the slightest temperature variation could drastically change our ecosystem. This experiment just goes to show you how imperative it is that we step up and take action for our planet. So, after all of this talk of climate change, I admit that I finally caved and had to accept the harsh reality. There would be absolutely no point in scientists making up this data, so I myself have chosen to believe in it. If you are like me and didn’t believe in climate change at first, I hope you now at least got a taste for the severity of it. If you feel inclined to take action, this website lists some great ways that you can reduce your carbon footprint and help reduce climate change.